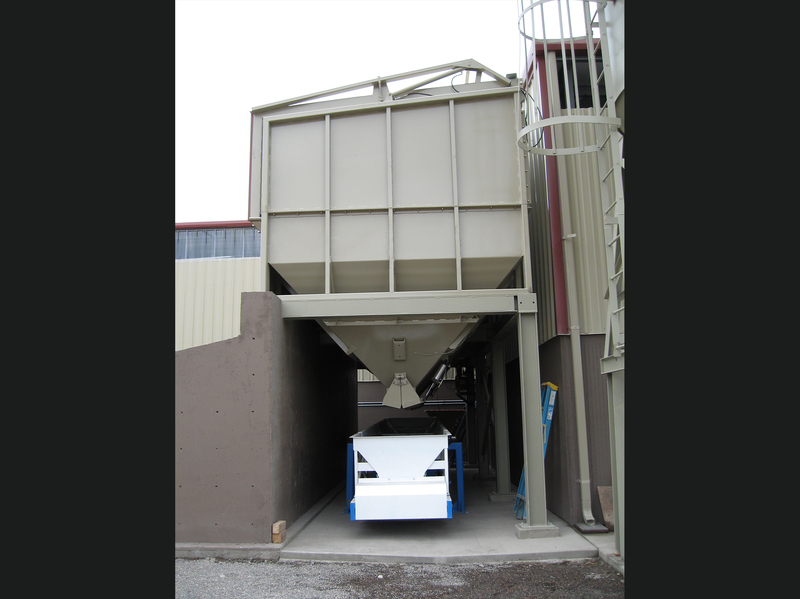 Bulk Hoppers for Aggregate handling. 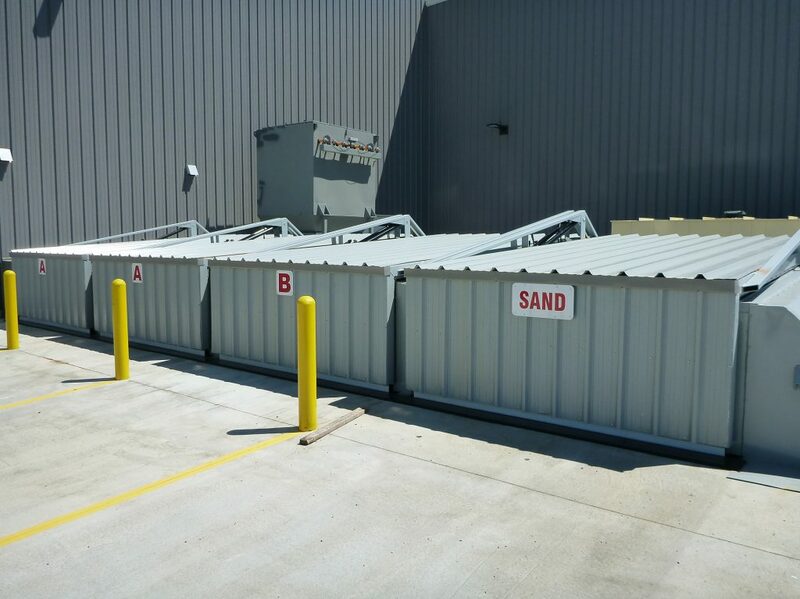 Bins can be fabricated to your specification or our custom design to suit your requirement. 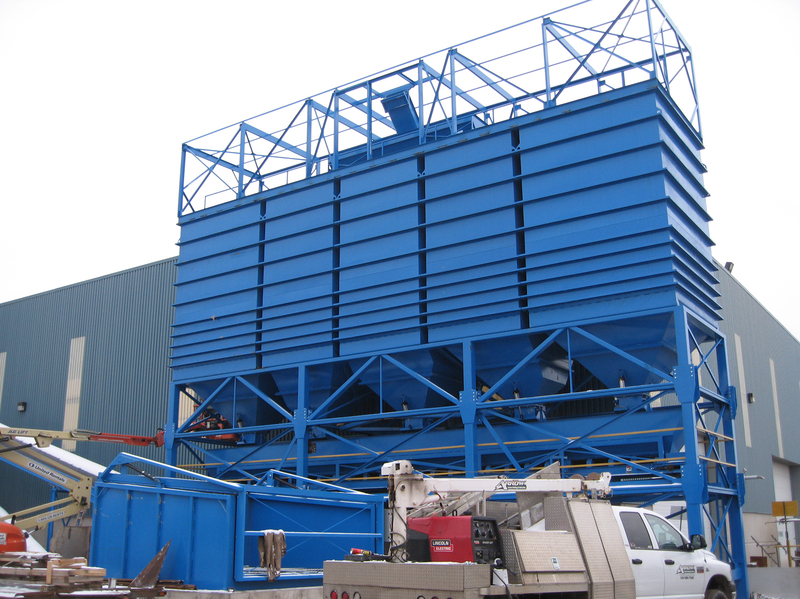 We build large and small, rectangular or round. 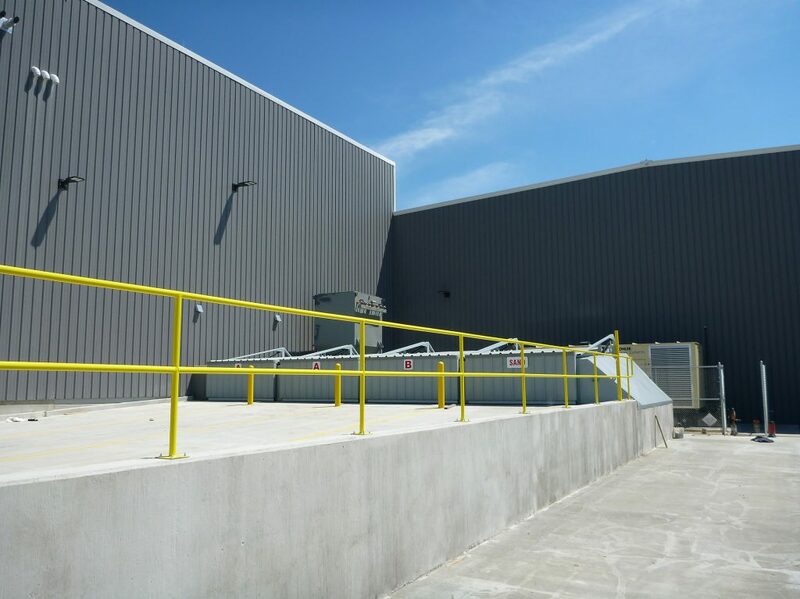 We can supply with a single gate or multiple gates . 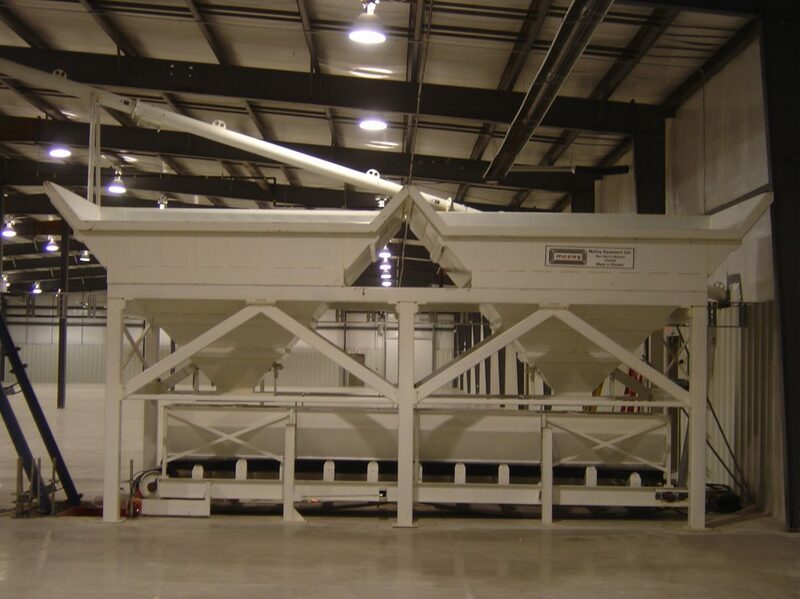 Some other discharge and feeder systems can be supplied such as conveyor feeders or vibratory feeders. 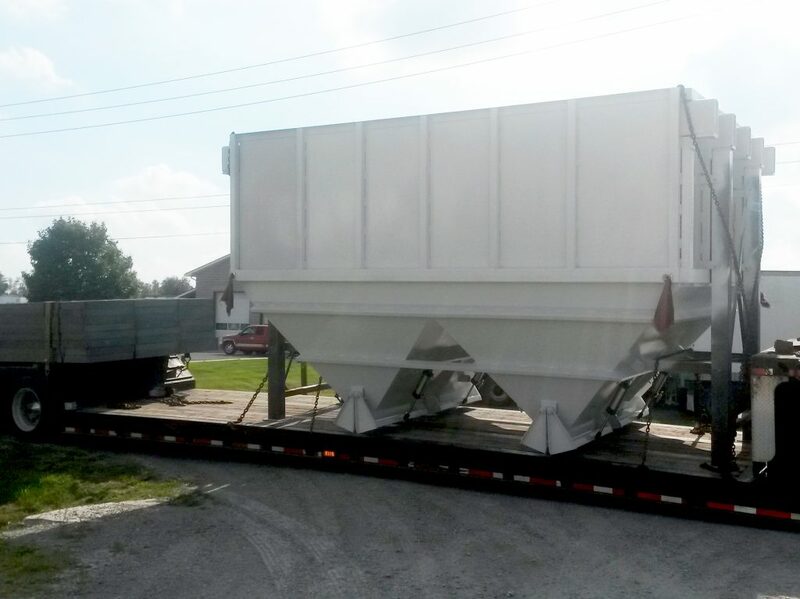 Our proprietary hydraulic lid design facilitates weather resistant receiving hoppers or drive on bins with H20 highway loading gratings for low profile plants. 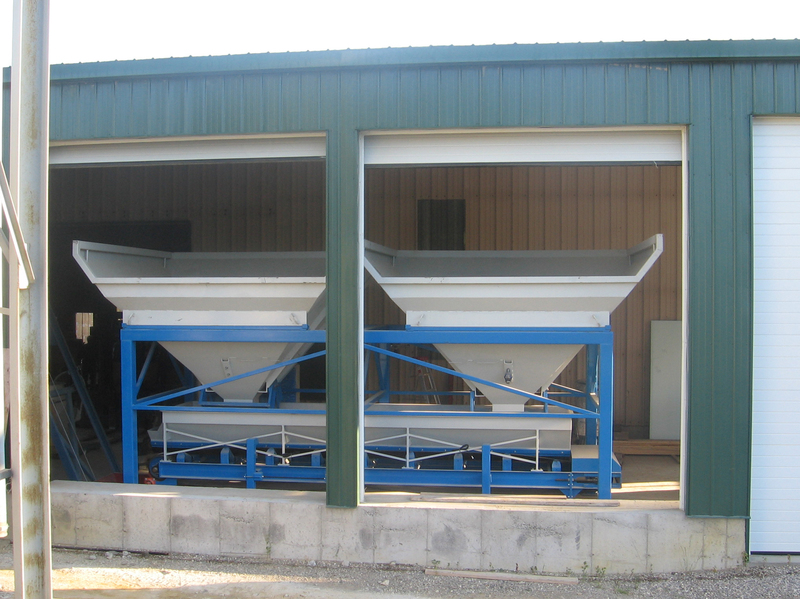 For cold weather areas these can be insulated to allow winter work. Don’t forget bin heating systems and moisture sensors. Let our design engineering team help your get it right. 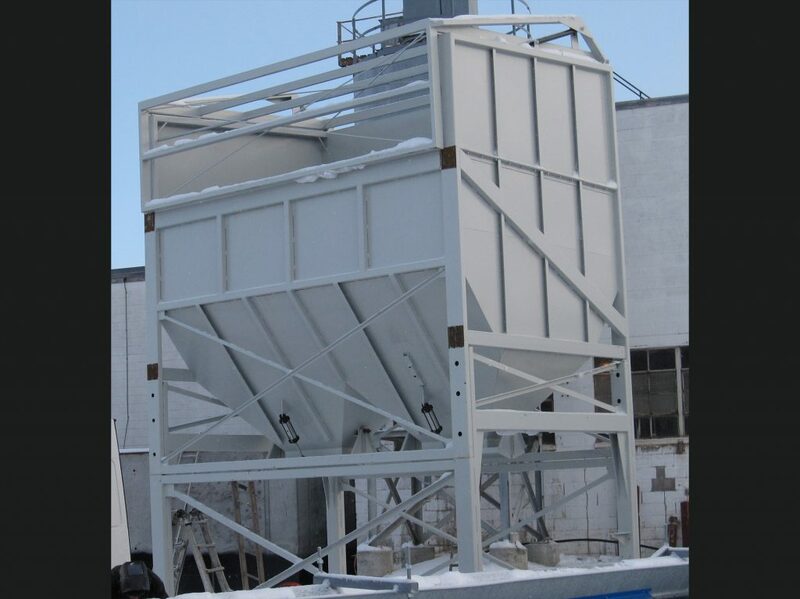 50 ton receiving hopper with lid. 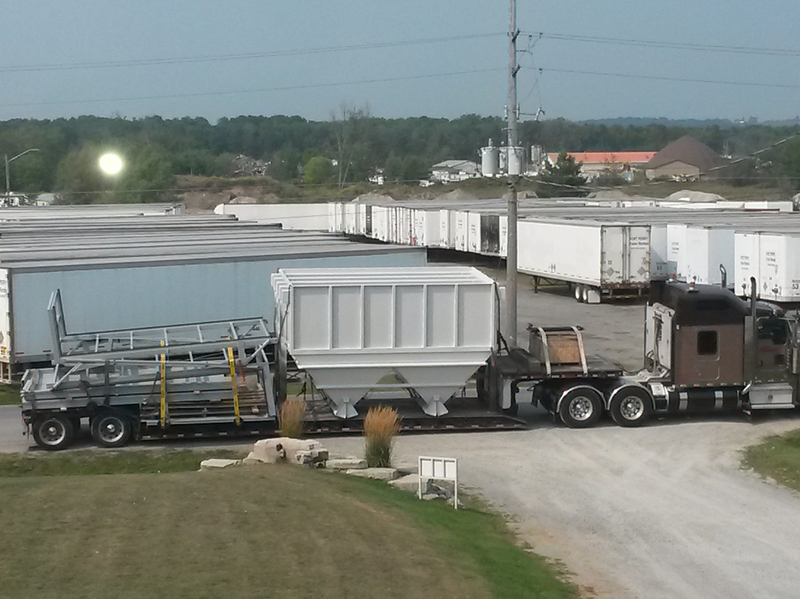 Two 75 ton bins three 50 ton bins. Small batch system. 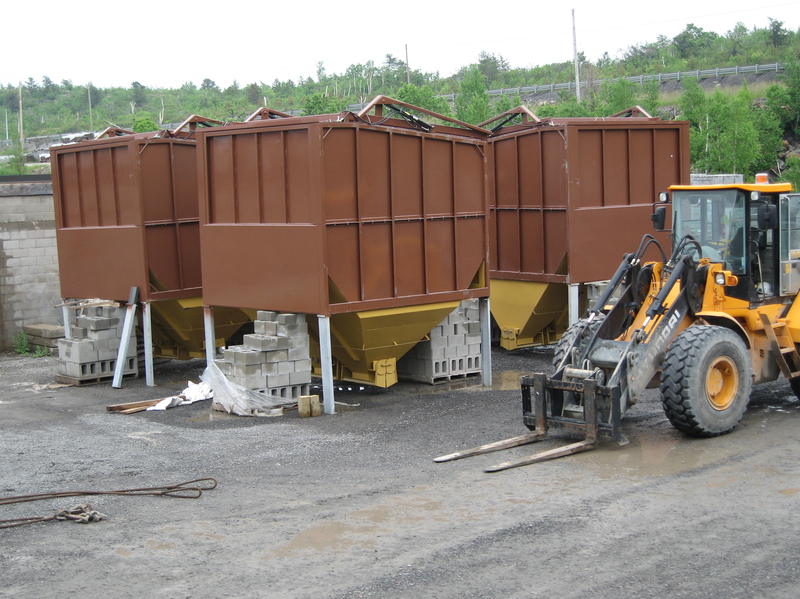 Two 15 ton loader filled bins.